The HDMI 18Gbps 4x1 Switcher can switch any of 4 HDMI 2.0 sources to an HDMI 2.0 display. It supports 10bits HDR (High Dynamic Range) pass through and HDMI high resolution digital audio bypass as well as HDCP and CEC bypass. 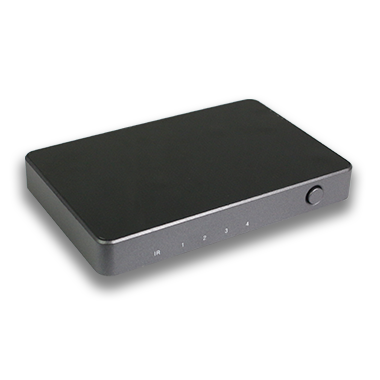 It can also extract HDMI audio to L/R analog output (LPCM only).